The Center for Architecture, 536 LaGuardia Pl. This program was presented in collaboration with the AIANY's Planning & Urban Design Committee. In conjunction with the current exhibition TIMES SQUARE, 1984 The Skyscraper Museum presents a series of programs that bring together key actors in the transformation of Times Square over the past three decades. The first, Times Square Revisited: Urban Planning and Urban Design, examined the role of government, including the actions of the City Planning Commission in the rezoning of West Midtown and the Special Theater Sub-district, and the urban renewal plans overseen by the 42nd Street Development Project of New York State's Urban Development Corporation (UDC). The 42DP conceived a plan for four mega-towers at the corners of Broadway, Seventh Avenue, and 42nd St. that would be the deus ex machina that would create revenue to renovate historic theaters and fund subway improvements. Reunited to discuss their roles in the transformation of Times Square were Herbert Sturz, Chairman of the New York City Planning Commission under Mayor Edward Koch from 1980-1986; Carl Weisbrod, current Chairman of the New York City Planning Commission and president of New York State's 42DP from 1987 to 1990; Hugh Hardy, architect of many of the restored historic theaters of 42nd St.; and Alexander Cooper, who, with then-partner Stan Eckstut, in 1980-81 created the urban design guidelines for the 42DP. Acting as commentator and moderator of the discussion was Lynne Sagalyn, author of Times Square Roulette: Remaking the City Icon (MIT, 2001). This 1 hour and 26-minute video program begins with an overview by Skyscraper Museum Director and curator of TIMES SQUARE, 1984 that outlines and illustrates the issues and strategies of government plans to conquer blight and revitalize the district in the 1980s. Hugh Hardy follows with a slide-show talk on the history of 42nd St. theaters. The speakers follow in succession in opening remarks to discuss their roles and recollections. Q & A and discussion follows, led by Lynne Sagalyn. For the welcome from AIA NY Chapter Lance Jay Brown, click here. Speakers: Lynne B. Sagalyn, Alexander Cooper, Hugh Hardy, Carl Weisbrod, Herbert Sturz & Carol Willis. 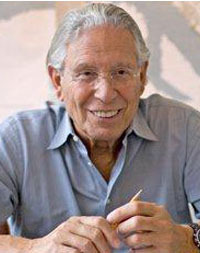 CARL WEISBROD, is the Chairman of the New York City Planning Commission and Director of the New York City Department of City Planning and former president of New York State's 42nd Street Development Project (1987-1990). 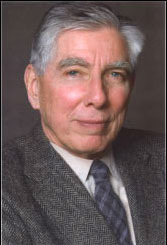 HERBERT STURZ, Served under Mayor Koch as Chairman of the New York City Planning Commission and Director of the Department of City Planning from 1980-1986. The subject of the biography A Kind of Genius: Herb Sturz and Society's Toughest Problems by Sam Roberts, he has help to found more than 20 New York non-profits devoted to social issues from criminal justice reform to affordable housing for the homeless. ALEXANDER COOPER, FAIA, one of the world's leading urban designers, is Founding Partner and CEO of Cooper, Robertson & Partners. From 1973-1978, he served in the Lindsay administration as the director of the Urban Design Group In the Department of City Planning; from 1973-1978, he sat on the Planning Commission. In 1979, he established his firm Alexander Cooper Associates and in 1981 was joined by Stan Eckstut to form Cooper Eckstut Associates. In 1980-81 they created the urban design guidelines for the 42nd Street Development Project. HUGH HARDY, FAIA is another of the world's leading urban designers and preservation architects. From the restorations of the New Victory and New Amsterdam theaters, to the zebra-stripe apartment tower and Theater Row complex and sleek offices of The New 42nd Street, Inc., Hardy has restored and reshaped the both the physical setting and emotional experience of Times Square for a generation. LYNNE B. SAGALYN, author of Times Square Roulette: Remaking the City Icon, is the Earle W. Kazis and Benjamin Schore Professor of Real Estate and Director of the MBA Real Estate Program at the Columbia University Graduate School of Business.